Doing my best Bane impersonation. Might be good for Halloween. 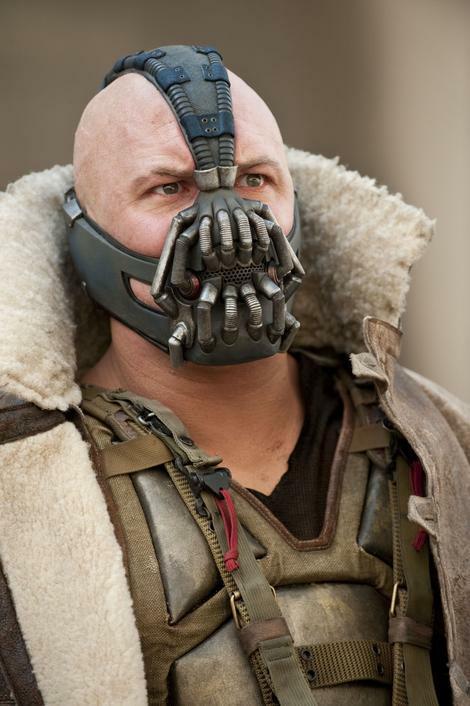 The Batman villain Bane. 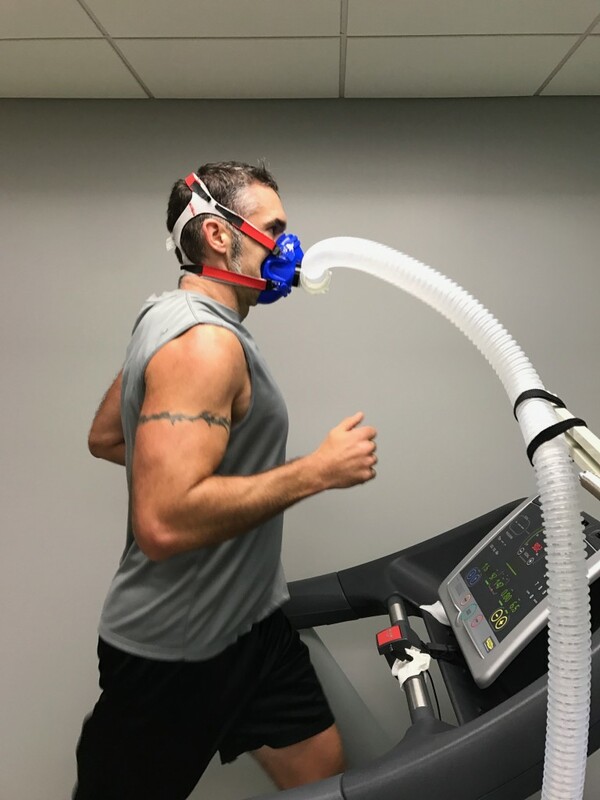 I don’t know what his VO2 max is. 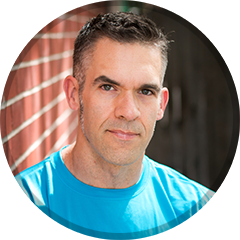 those training paces, particularly tempo run paces, are too fast for me. Rather than blunder around trying to solve the problem by myself, I sought help. The fun began after the rest period. I ran in two minute intervals. Speed was increased after every two minutes. This process was repeated until I was nearly blue in the face and I couldn’t run anymore. It took about 12 or 14 minutes to hit my limit. a computer. The computer measured my O2 intake and CO2 expiration. 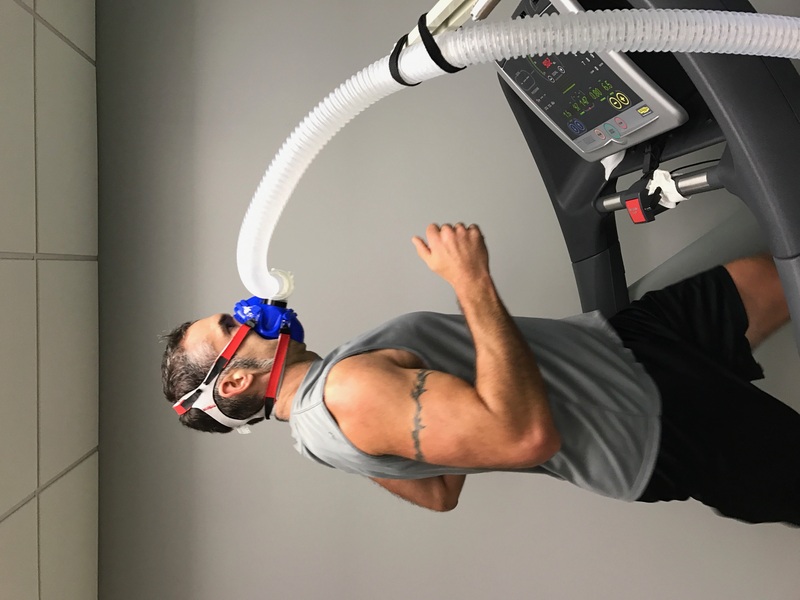 This gas analysis allowed us to see at what paces my aerobic and anaerobic thresholds exist. I NEED TO SLOOOOW DOWN. I need to spend 80% of my time running for base endurance. In this zone, I use mostly fat for fuel. This works out to a pace of about 11:30/mile. Prior to the test I thought this pace was about 10:00 to 10:30/mile. The good news is that an 11:30 pace is really easy! My AT occurs at a 7:45 pace. I should be able to maintain that pace potentially for a full marathon. But right now, when I hit my AT I crap out quick! I need to gradually nudge my ability along. If I run at or over my AT (which I have been doing) then I overwhelm my ability to function at that pace. So now my tempo runs are 9:10/mile. 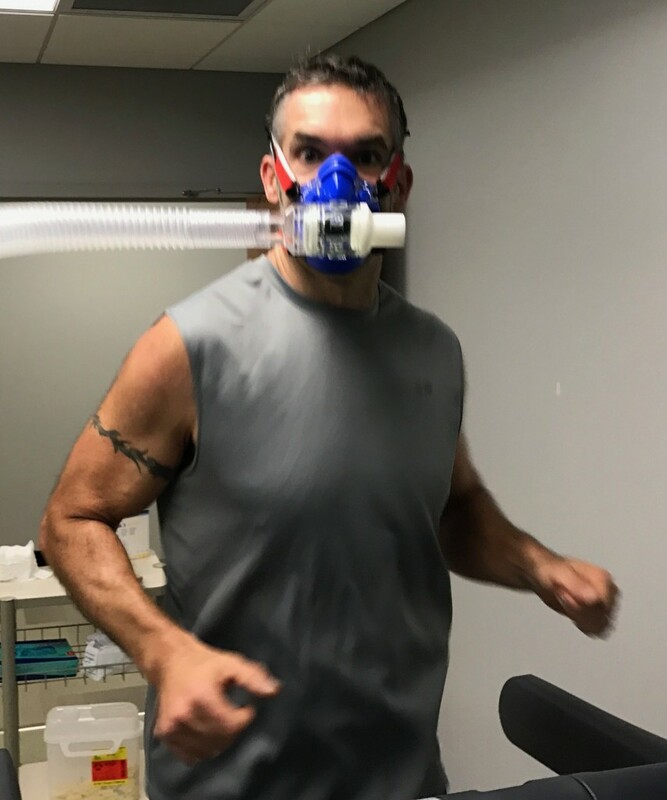 This is speed work and this is where I will improve my VO2 or my ability to utilize oxygen. The pace for this work is 8:40/mile. I had been running my speed work at about 8:00/mile. First, the idea that I can get my tempo/race pace down to 7:45/mile is fairly exciting to me. It means I might be able to hit a 3:30 marathon! That’s a powerful motivator for me. All the slow miles I’ll need to put in won’t be done aimlessly. I’m Training Like A Mother.